So, after changing my profile avatar, I remember to create this topic, where all the members can expose their current desktop pictures, and talk about them too. This is mine: Still very clean, for now, I formatted the computer few days ago. Thanks for your post ZoSo! Mine changes a lot but here goes..
mine (pretty much I have 4 folders, recycle bin, and rest is just black. Nice progress in 2 years, your last post was from the same day and month two years ago. LocationWhere ever my bottocks find peace. 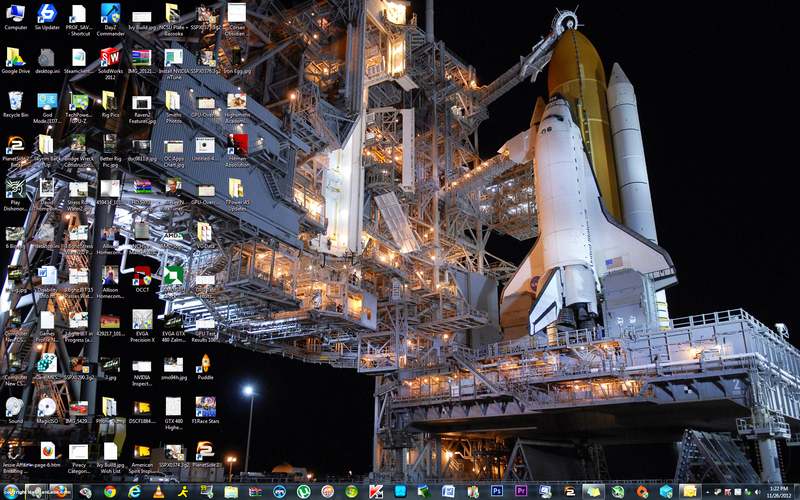 First of all I have to say that if I had ZoSo's desktop in front of me I would for sure get a mental brake down (no offence mate) do to all the icons even though I love the science of space. 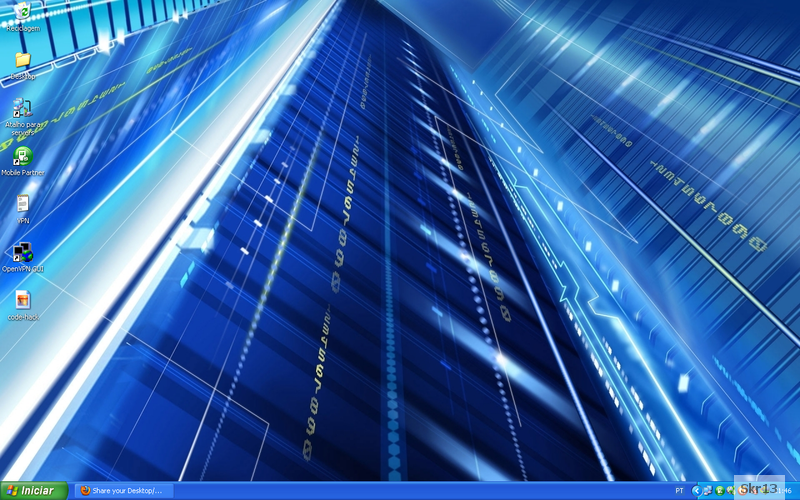 I'm more in to Skr13 clean desktop in all its simplicity. Then I have to admit that for the moment don't have a desktop (excludin my T400 laptop). The reason for that is quite simple do to my main computer are under construction as some of you already are a were about. So in the way to feel part of the suject I share you one of my picture (as below) of my computer desk instead. First of all I have to say that if I had ZoSo's desktop in front of me I would for sure get a mental break down (no offence mate) do to all the icons even though I love the science of space. Then I have to admit that for the moment I don't have a desktop (excluding my T400 laptop). The reason for that is quite simple do to my main (gaming) computer is under construction as some of you already are aware about. So in the way to feel part of the subject I share you one of my picture (as below) of my computer desk instead, hope you do not despond too much. Although the image do not containing the current stuff of today considering it was some time ago it was taken, the computer / bedroom basically looks the same of today apart from a lot of new gadgets. By the way, the bench rigged computer hardware on the drawer unit to the right in picture is the first real gaming computer I configure and assembled as you can see on images below. And as you already have found out, it's not the components of today. Please enjoy the view mates. Sorry for been carried away with all the pictures of mine. Hi WOLF, why did you repeated the three first paragraphs? Thank you so much for your admiration of my "workshop". "three first paragraphs", sorry mate but I do not understand what you refering to. Did I brake any VC laws or? In case of that I'm so sorry mate. I don't want point fingers at any one but my selfs since by nature and medical situation things are not the same, and it's really sneak up on you (me). Until next time (tomorrow for me), take good care of you mate. Hi WOLF, I've coloured the sentences that you repeat in the last post, that's what I meant with "why did you repeated the three first paragraphs?" And no, you didn't broke any VC "laws", just please edit your post or I can do this for you. I catch you later on tomorrow, I hope.